FRESH HARVEST TOMATO SAUCE: THREE PLATES! THE GLORIOUS SUMMER TOMATO - AND THE SAUCE THAT MAKES THESE RECIPES DIVINE! TIME TO BAG AS MANY FRESH HARVEST TOMATOES AS YOU CAN! There's no better way to celebrate plump, juicy, sweet, peak-season tomatoes than with a fresh sauce. Our version takes less than 30 minutes. No lengthy simmer on the stove. No complicated list of ingredients. Just the simple elegance of the field tomato. *You can also use fresh finely diced garlic cloves: one per tomato. We prefer our Garlic olive oil since the infusion holds its rich roasted flavour better than fresh. 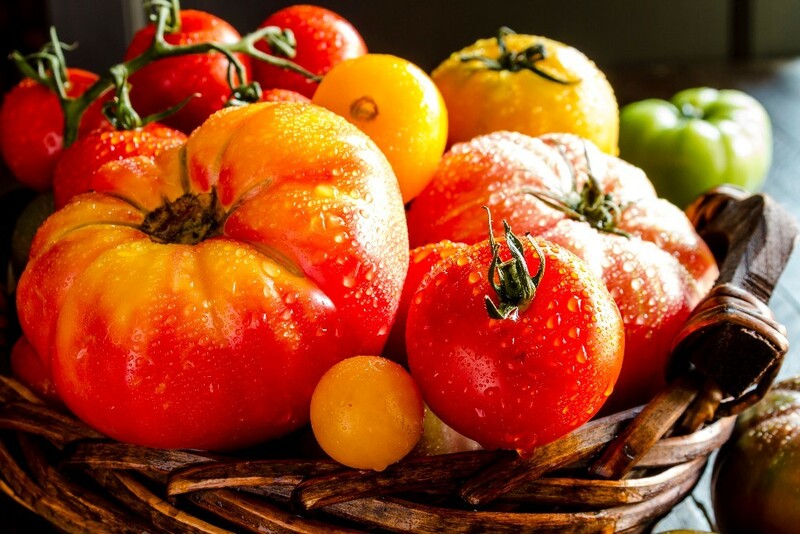 *Tomato skins contain flavonols (antioxidants) maximizing their nutritional value. If you wish to peel them simply score the top of the tomato (not the stem end). Place them in boiling water for one minute. Remove then in ice water immediately. The skin should be easy to slide off. It's been a long, hot summer. That doesn't mean we have to put one of our favourite foods on hold. 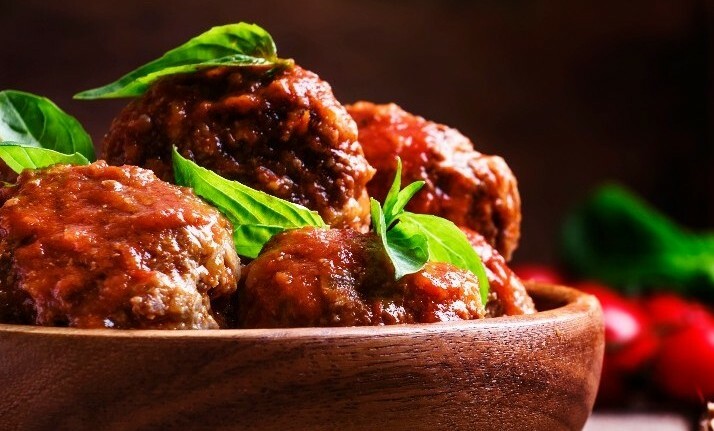 The classic meatball can be grilled and then crowned with our fresh tomato sauce for a delicious backyard surprise. We've added our Garlic Lovers Passion Rub to the meat mixture for an even richer garlicky flavour. Preheat grill to medium. In a large bowl, mix together by hand the chuck, pork, bread crumbs, eggs, Parmesan, Garlic oil, parsley, and red pepper flakes until thoroughly combined. Form meat mixture into 2 inch balls. Season meatballs all over liberally with salt and pepper. Brush meatballs with olive oil and place on grill. Cook until well browned all over and cooked through. Make sure that all sides are browned, about 8 minutes. 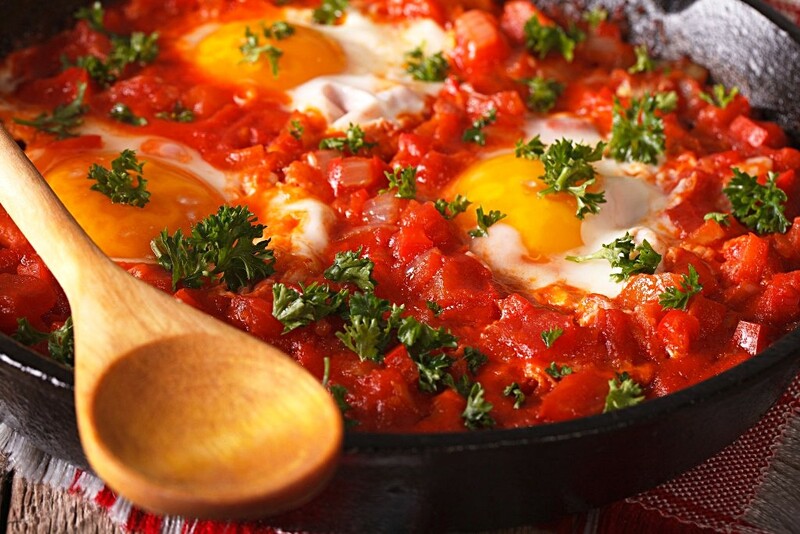 Learn to love our take on the Middle Eastern "Shakshuka" breakfast. Get out your largest saute pan. Add 2 cups of our fresh tomato sauce. Once heated, crack your eggs directly into sauce. Then simmer until the eggs have reached your desired doneness. If you're inclined to want a more traditional dish, then add a dash of paprika and cumin to the sauce before adding eggs. Want more heat? Drizzle our Tunisian Smoke Chaabani Pepper oil before serving. Optional: Prepare scrambled or poached eggs, then add to heated sauce before serving. On medium, heat 1 tbsp olive oil, paprika and cumin in deep wide saute pan to 1 minute. Add 2 cups of our fresh tomato sauce. Heat for 2 to 3 minutes. Crack eggs over the tomato sauce. Add all eggs placing them around the edge and then middle. Cover the pan and let simmer until desired doneness, around 6 to 8 minutes. Serve on deep plates with drizzle of Smoked Chaabani oil and garnish with parsley. 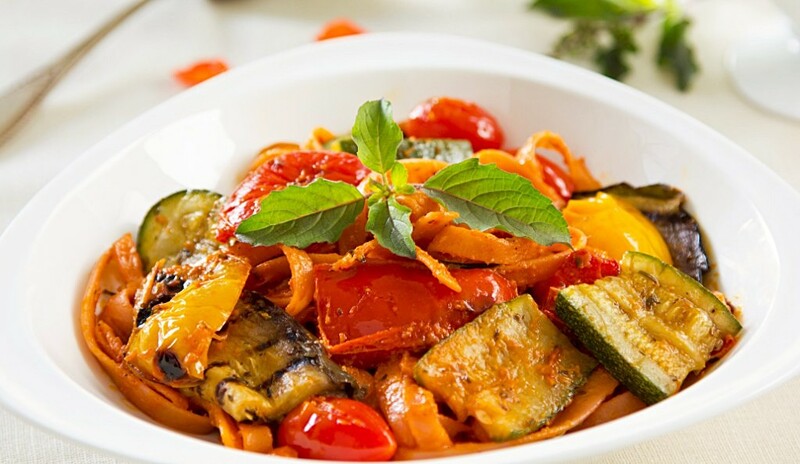 Our fresh-from-the-field tomato sauce is married with a bevy of grilled farm-fresh vegetables then combined with fettuccine to bring all the abundance of summer flavours together in a single dish. Heat grill to medium on one side only. Lightly coat the grill with cooking spray. Brush veggies with olive oil. Place on grill turning as needed until tender, careful to remove those that are done earlier. This should take about 8 minutes. Prepare pasta according to package directions. While the pasta is cooking, place 1 to 2 cups fresh tomato sauce in medium pot. Heat, then add grilled veggies. Stir gently. Once pasta is cooked drain and return to pot. Add sauce mixture then gently combine. Place on deep platter. Serve with Parmesan and generous drizzle of olive oil. Optional: Garnish with sprigs of fresh basil.